I'm Fred Raillard, Creative CEO, Co-founder and Creative Chief Officer with Farid Mokart of FRED & FARID, a social, content, tech solutions for brands company based in New York, Paris and Shanghai. #FredinChina is an essential social media podcast to know and understand the world's largest economy. I fell in love with China, and live in Shanghai with my wife and three sons since September 2012. With my teams at the FRED & FARID Shanghai agency we monitor, analyze and decrypt this ultra-connected China with nearly 800 million netizens by sharing what we see, hear and read on Weibo, WeChat, Huaban, Youku. I prepare this column with Zhuomin Qin from FRED & FARID Shanghai. Thanks to Zhuomin Qin, Feng Huang, Jalila Levesque, Jules Chaffiotte, Radouane Guissi, Yi Zhang, Ying Zhang, Aliou Maro, Tina Liu, Louis Caudevilla, Dushan Karageorgevitch, Jing Qian, Jonathan Roy, Maxime Aubanel and Antoine Robin for their participation to this chronic. Click here to listen to all the podcasts. 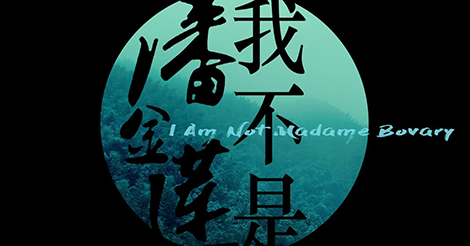 The HotPost of the week is 'I am not Madame Bovary'. It's not a French film but a Chinese film that launched last week. The director is Chinese, Feng Xiaogang was not happy with the way the movie was distributed in theatres, so he wrote to the CEO of Wanda on Sina Weibo. Wanda is one of the biggest groups in China involved in a lot of different activities including movies. So he wrote to him to complain that his movie was not neither protected enough nor promoted enough. The CEO's son who is a very famous KOL answered the director by saying that it was not true, and that Wanda Group respected the Chinese law that states that you have to promote Chinese movies versus American and foreign movies. He went on by saying that they even pushed back 2 Hollywood movies, 'Fantastic Beasts and where to find them' and 'Captain Sully' in order to make sure that his film, I am not Madame Bovary' would reach the success it deserved. So if his movie did not have enough success, it might be because of the movie's quality. When this type of thing goes viral, netizens usually support the director and not the distributor. This time it was not the case, as the young people thought that the movie was not great, and questioned the law that states that you can push back foreign movies to promote Chinese movies. This merely makes it more comfortable for Chinese films diminishing the quality. So a lot of Chinese people thought that this law should be removed and the competition should happen on quality, to make sure that they improve the entertainment values of Chinese cinema. 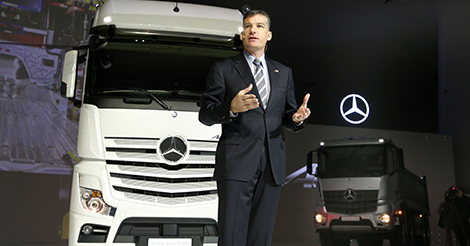 The HotBrand of the week is Daimler, a parent company of Mercedes who make trucks. It's a huge crisis that has already generated 22 million media impressions. It started when someone wanted to park his car, when a German car (Mercedes) arrived and took his place. The driver of the Mercedes was German, and instead of being happy started to insult the Chinese man. Some people tried to calm the German man down, whereupon he started spraying his pepper spray into the eyes of the people around him! He ended up getting arrested, and we then found out that the man was in fact the CEO and President of Daimler. So this is a huge crisis that just exploded on social media. The company handled the crisis very badly. Instead of just apologizing and firing the CEO, they just said that they would remove one of their senior executives without addressing the problem. It's important to understand that when you come to China, the first thin that you have to do is respect the Chinese people. This is crucial, because Western people have historically behaved really badly in China. When you come to China for business, you have to respect the Chinese, and make sure that it's a win win situation in respect with China. So this situation is likely to worsen for the company. 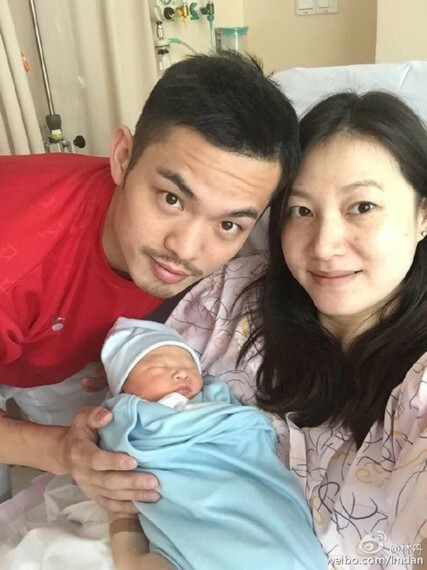 The HotTopic this week is Lin Dan, who is a very famous badminton player, who is married to another badminton player who is pregnant. Now this week, on Sina Weibo, someone posted a picture of Lin Dan with another woman, insinuating that he was having an affair. This generated 2.82 billion media impressions in China, and 752 thousand discussions! This is enormous, and we have to ask ourselves why? It's not because of the affair, but because this man always projected an image of himself being the perfect husband in love with his wife, with good family values. This is what shocked the Chinese people - the gap between the image he wanted people to believe of himself, and the real him. This generated another interesting debate about male and female inequality during instances of someone having an affair. When a man has an affair in China, the woman has to forgive him, and when a woman has an affair everything becomes much more complicated. In China's history, the man was even allowed to kill his wife if she was having an affair! Obviously this is no longer the case today, but there is still a lot of effort that needs to be done to make this an equal relationship. The young people in China really want to change this mentality.